First off, we ditched our desktop computing systems and monitors and put the gigantic hard drives in storage. Swapping them for 15″ MacBook Pro laptops and small portable firewire and USB drives. Talk about taking a load off! And of course, the iPhone has been the single greatest mobile office machine any working nomad could ask for. Whether by bike, by espresso, or by poolside… it’s all possible when your entire office is small enough to fit into a single bag. In the Cheddar Yeti (Our Motorhome) we don’t have a permanent space for our office use. Our dinette table can expand to fit both our laptops but, is a mere 4′ x 5′ area. Yo, we’re not trading one cubicle for another here. 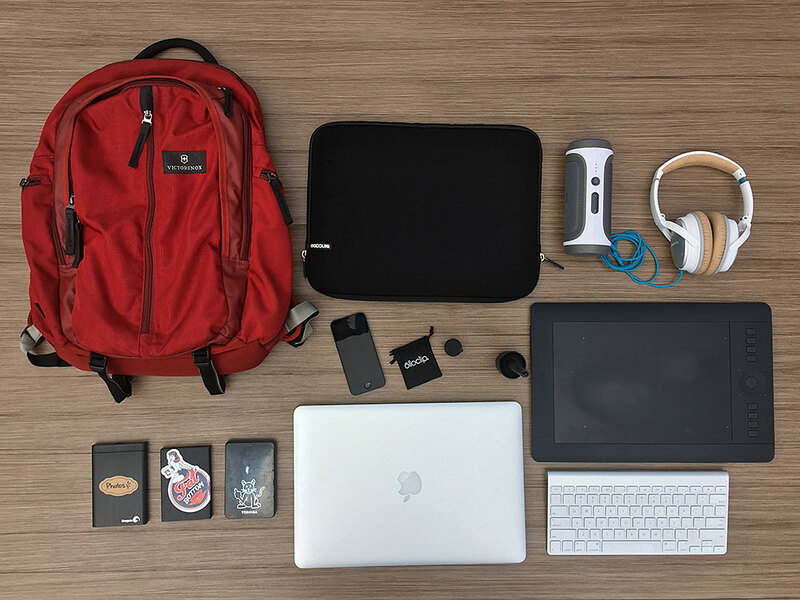 Having our entire office in a backpack means total freedom to go and do whatever we want, even in the middle of a project. Two USB thumb drives. One bootable with Yosemite, the other for storage. We have two important items that we do not carry in our packs. They are additions we’ve made to the Cheddar Yeti’s Motor Office set up. 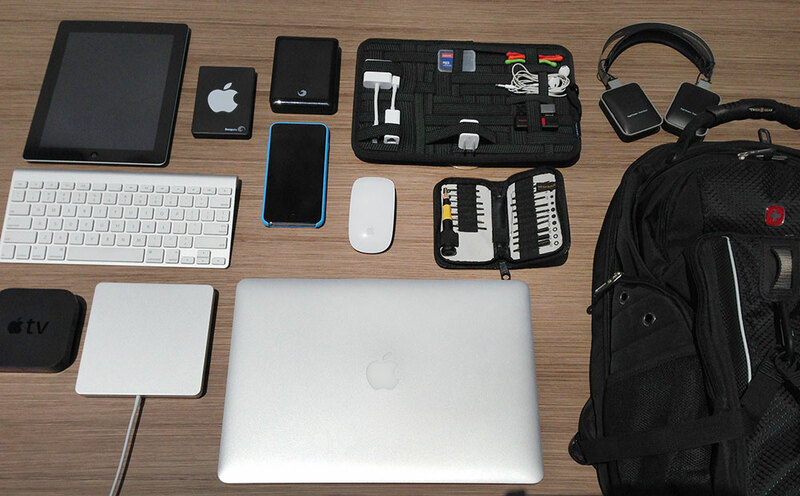 If you have a Mobile Office, what’s your most useful device or advice? If you don’t have a Mobile Office, would you be willing to scale down for a bit more freedom? What would you trade? To our friends & clients who hire us for their very important Web Development & Graphic Design work, we THANK YOU! We’ve heard lots of about Millenicom… but haven’t tried it out yet. Is the plan still unlimited?